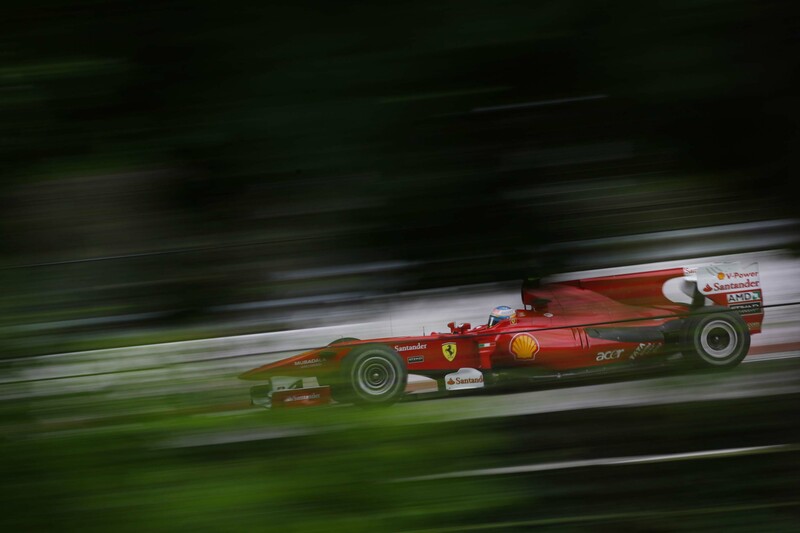 Should Ferrari be disqualified from the German Grand Prix? All weekend at Hockenheim, Ferrari looked as though their little black horse was prancing again. Alonso topped the practice timesheets, with Massa not far behind, and Ferrari were happy. Qualifying went well too. Alonso lost pole position by 0.002 and Massa enjoyed slotting in for third. 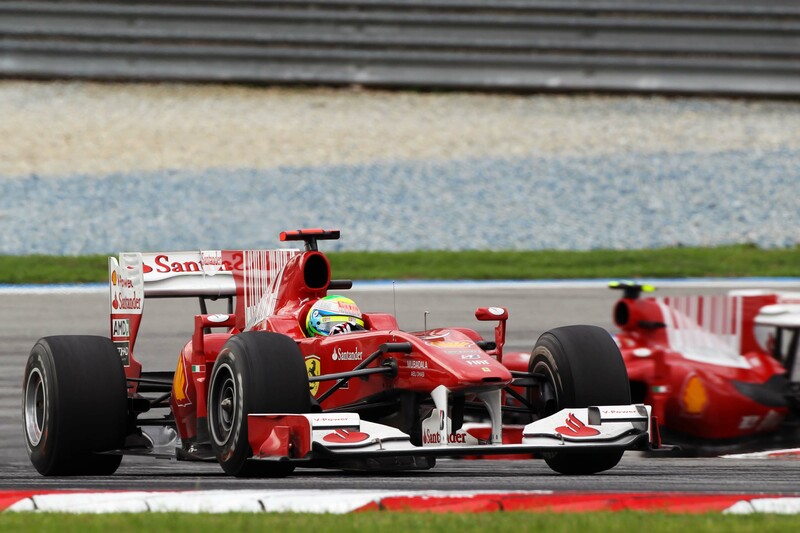 Even the start went well – Vettel struggled to squeeze Alonso out of the way and Massa breezed past on soft tires. He was performing better on softs than his teammate and that was where the controversy unfolded later on. Massa was struggling with his second set of tyres, his hard ones. “Fernando is faster than you. Can you confirm you understood that message?” Smedley said firmly. Obviously, Massa did. Coming out of the next turn he shifted up early, giving Alonso the lead and the eventual victory. Those where the facts, the actions that unfolded on track due to certain circumstances. Now let’s take things from several perspectives: the FIA, the teams, and the fans. According to the Sporting Regulations for 2010, section 39.1 states that ‘team orders which interfere with race results is prohibited.’ If any team disobeys that rule, a fitting penalty will be given. No disrespect to the teams, but that is one of the clearest rules in the book. The FIA want to make sure the rules are not broken. That specific rule had been put into place after Ferrari ordered Rubens Barrichello to let Michael Schumacher pass at the Austrian Grand Prix in 2002. No team has been found guilty under the rule until now, and there is no indication in the regulations as to what the punishment should be. If he has a conscience, he will not penalize them further than the fine. If he can ignore his conscience, Ferrari could face being disqualified from the race and maybe even the championship (the latter I highly doubt). Formula 1 teams have always had a favorite driver even if, at times, it wasn’t obvious – Vettel over Webber being the most recent of examples. One was always encouraged towards the championship over the other. In this case, Massa was slower than Alonso and Vettel was catching the pair of them. Rather than risk having Vettel pass both of them, Ferrari thought it better to minimize any damage that might be coming. Let’s put ourselves in Massa’s puma’s for a moment. You are in front of your teammate and are struggling with your hard tires. At the same time, your teammate is faster than you and so is the car behind him (which happens to be your teams most important rival). Of course the racer in you will never concede the position. But the employee in you will be obliged to. ‘We regret writing it, but from Massa it was a lack of courage,’ wrote a Brazilian newspaper. Courage? To do what, disobey his team and risk losing his seat in the future? It is in the post race moments where Massa can be labeled a coward or not..it is up to him to communicate his thoughts to the team about favoritism and team orders. Barrichello said he will want to speak to Massa himself and that nothing at Ferrari has changed. Okay, we knew Alonso was their preferred driver but it didn’t have to play out this way. Another way of looking at it would be this: they were working as a team, applying teamwork in the best interest of the team. But then again, Formula 1 is about racing and nothing else. Fans want to see teammates battle on the track and if they don’t get what they want, F1 will fail. That takes me to my next point of view. At the end of the day, Formula 1 needs to please its fans and the fans hate when external factors interrupt the outcome of a race. ‘It is fair to recognize that the problem is in the regulations,’ wrote Italy’s Corriere dello Sport. But, then again, they are Italians and are trying to take an objective stance on their child. That doesn’t work. I have to agree, to the smallest extent, with them. If you take the problem as a whole, Ferrari were really only working as a team. Both their drivers were in the lead and both their drivers were employed by them. Simple. But then the fans would call it dirty. Whitmarsh plans to hold private talks with Ferrari regarding the damage team orders can have on the sport. Interestingly enough, Schumacher thinks what Ferrari did was fine. In present day, Alonso is leading Massa in the championship and had been even before Germany. He was at 98 points and Massa was at 67. At the end of the day, a team wants both championships in the bag..and with Ferrari, it will be done no matter what. A scheduled hearing is set between Ferrari and the FIA World Motor Sport Council where the teams’ fate will be decided. What do you think will happen? Jean Todt will not have the guts.